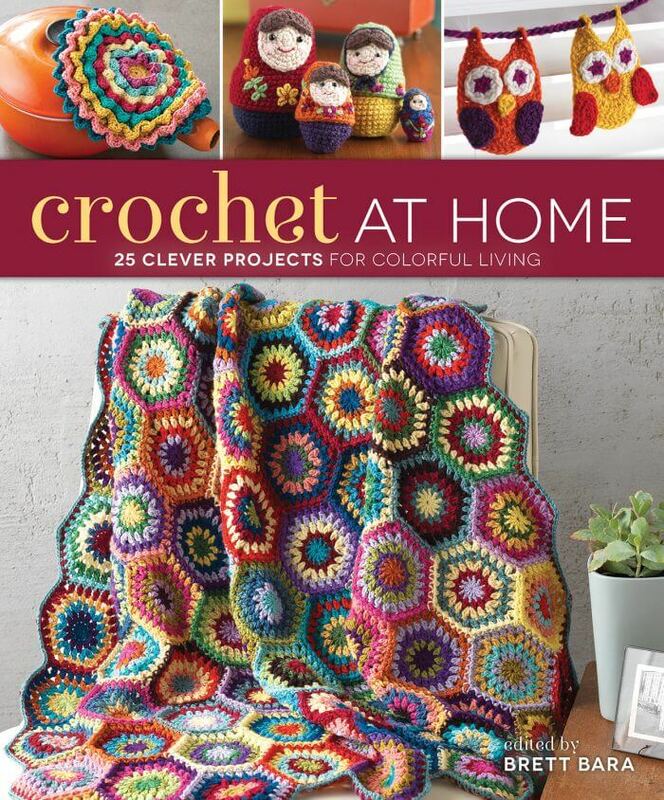 Brett Bara’s Crochet at Home is full of so many fun and colorful patterns. There are enough patterns to brighten up your entire home from living room to bedroom to kitchen. I spent hours just admiring each project and all the beautiful colorplay! There are seasonal wreaths, accent pieces, afghans, pillows, scrubbies, cozies, coasters, adorable nesting dolls (hint! ), and so much more. And along the way there are lots of tips and tricks for choosing and working with colors. What bigger compliment can I give a pattern than to work it up. Want to see what I’ve done? 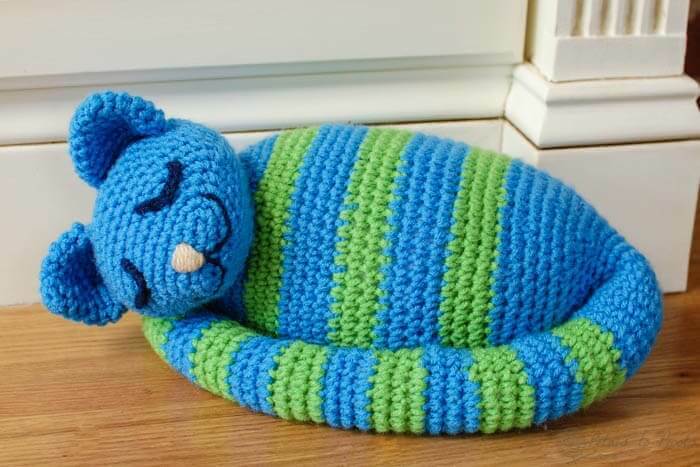 … and my new pet here is from the Sleepy Kitty Doorstop pattern designed by Brenda K. B. Anderson (p. 49). 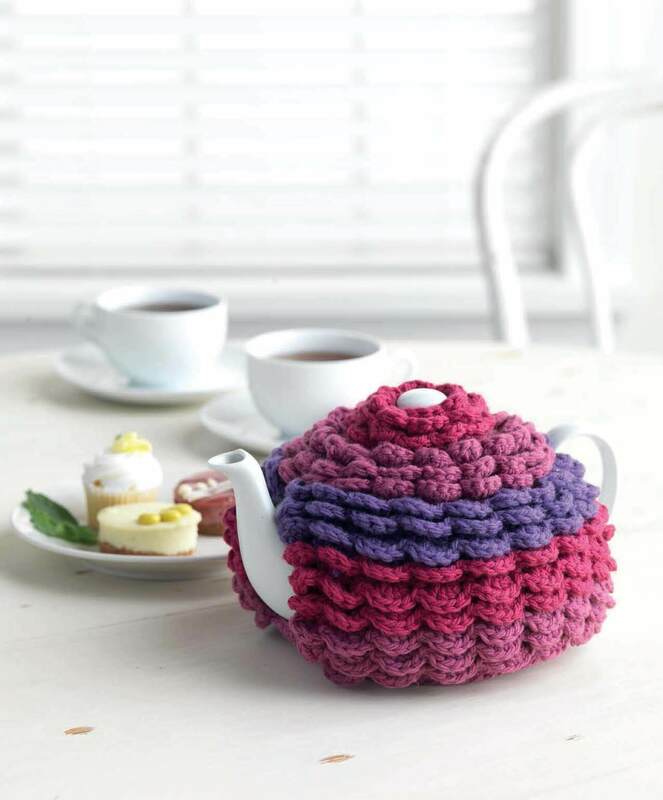 I actually even had the exact colors that were noted in the pattern! 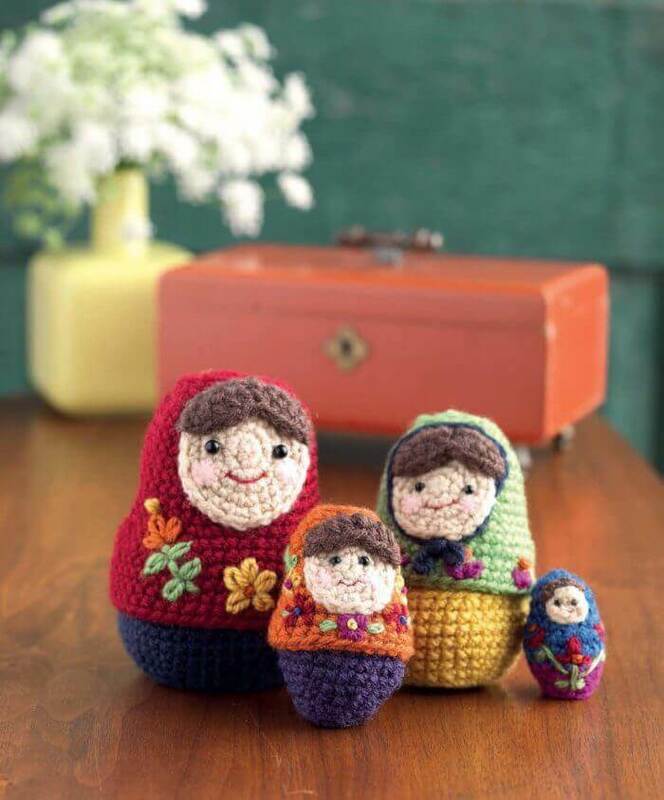 Want to see what patterns are next on my list to try? So … do you want to try out a pattern? I have a surprise for you coming soon … did you see my hints? Be sure to check back on Monday for the announcement! Kara, this book looks so cute! 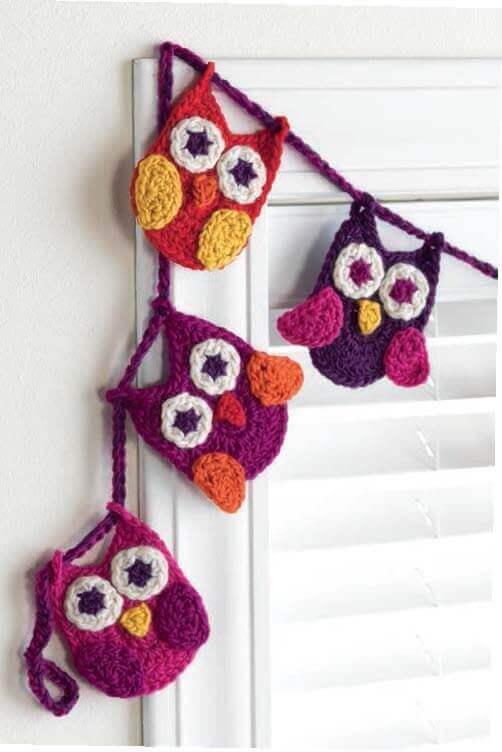 I love the owl bunting and the flower trivet! 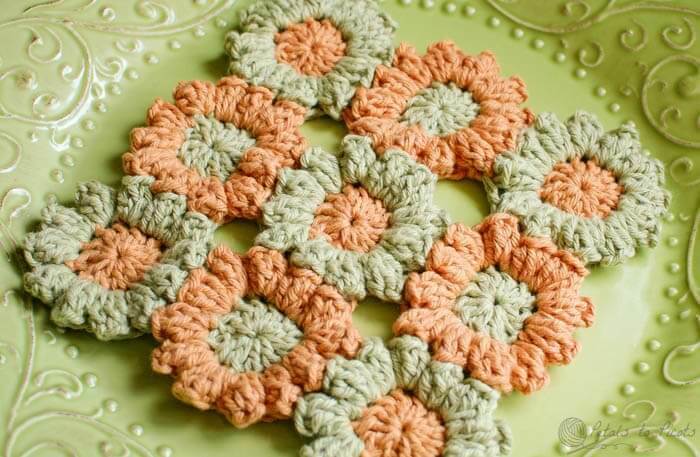 I bought the book a week ago an the trivet was the first thing that caught my eye. I definitely want to make that one!